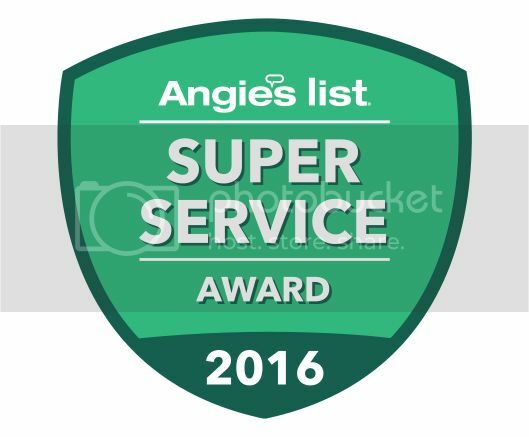 Angie’s List Super Service Award Winner!! ANGIE’S List SUPER SERVICE AWARD WINNER 2012!! After receiving RAVE reviews and an A+ rating. 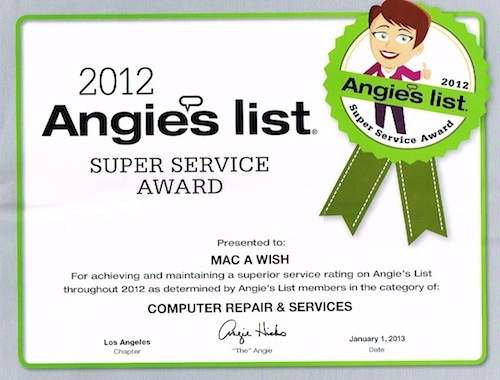 Mac a Wish earns the prestigious Angie’s List SUPER SERVICE award for 2012! Angie’s list is a trusted source for reviews and referrals on GREAT local businesses. The track record has been proven. If you’re looking for quality computer consulting in the comfort of your own home or business, look no further. Choose Mac a Wish! Click HERE to read the reviews on Angie’s List. Even now in 2015, I still get great reviews on Angie’s list. If you’re an Angie’s List member, please be sure to check out my reviews on their Website.